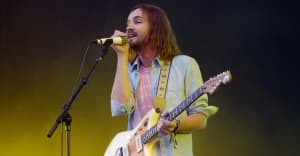 Tame Impala dropped by Colbert last night to perform "The Less I Know The Better." The song appeared earlier this year on the groups Currents album. Initially It's an amusing track about a hapless lover, though at the end it takes a nasty turn: Is this what you want? Is this who you are? I was doing fine without you.